Orioles Stifled by Oakland. Again. The Oakland Athletics have had the Orioles number for the past several years. Over the weekend, the trend continued. After a loss on Friday, Baltimore needed Brad Bergesen to come through on the mound and get the Orioles back to .500; however, that would not come to pass. Bergesen – along with Chris Tillman – realize that each and every start are vital, knowing that with the return on Brian Matusz this week, their rotation spots could be in jeopardy. 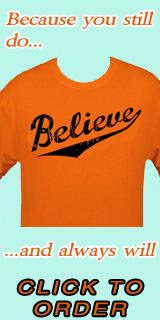 Well, Beregsen did not help his case on Saturday as the Orioles lost to the Oakland Athletics, 4-2. Baltimore is now 24-26 on the season, after reaching the .500 mark on Thursday against the Kanaas City Royals. He was not bad, as he gave up three runs in 5 1/3 innings; however, his fate was then sealed as he was demoted to Triple-A Norfolk. The Orioles promoted Pedro Viola to the majors; however, the Baltimore Sun noted that his stay will be temporary as Matusz comes off the disabled list on Wendesday. Bergesen was not awful on Saturday, but aside from one start in Tampa Bay – where he pitched a complete game – he has just been mediocre. He gave up three runs – all off of singles in the first, third and sixth innings. Koji Uehara allowed Oakland to get an insurance run in the eighth inning as he gave up a solo homer to Mark Ellis. Baltimore got their runs off an Adam Jones RBI-single in the third, and Craig Tatum followed up with one in the fourth.